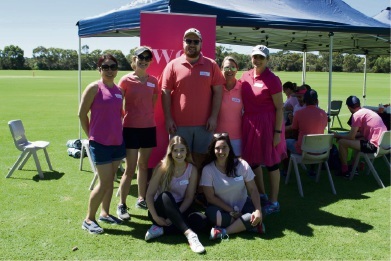 COTTESLOE’S WCA Solutions Pink Stumps fundraiser last month helped raise over $800 for The McGrath Foundation. The McGrath Foundation raises money to place Breast Care Nurses in communities across Australia and increase breast awareness in young Australian women. WCA Solutions and Linear Research staff members were among the 40 people who battled it out on McKay Oval at Scotch College during a competitive round of cricket. The two teams were decked out in pink and enjoyed team building and fostering client relationships while raising money for breast cancer.